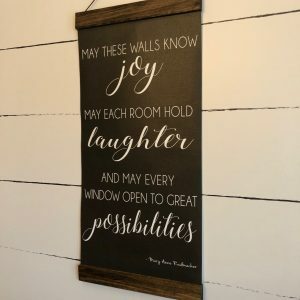 Designed custom for you using your favorite quote or poem. 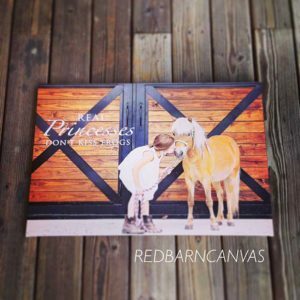 Canvas is printed on our premium high quality canvas. Finished on top and bottom with solid wood and nylon string for easy hanging. 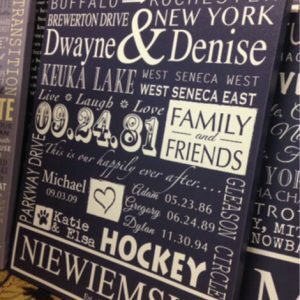 BEACH HOUSE / LAKE HOUSE / RIVER COTTAGE / MOUNTAIN RETREAT: Personalize this housewarming Canvas with a Family Name, Cottage Name or Location and Established year. 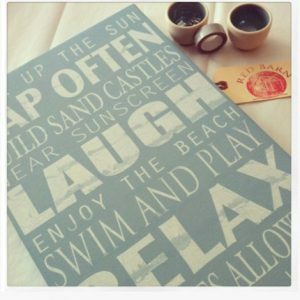 A fun addition to any family room, Beach House, Lake House, rec room or family photo wall. 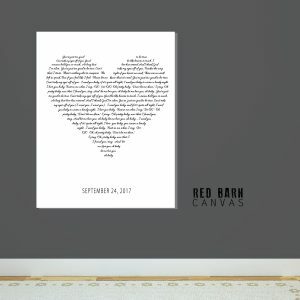 This design can be totally customized using your own words, rules and phrases. 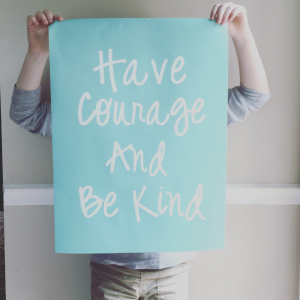 Send us your favorite photo and a few words, a saying quote, or message. We will create a few designs for you to choose from – the result is a one of a kind archive quality art piece you will have for years. 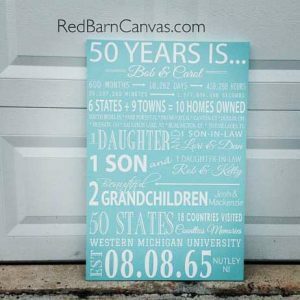 Description: This canvas was designed for a special couple celebrating their 50th wedding anniversary but can be customized for any year. 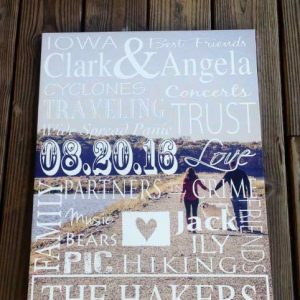 This is a Fun project and gift for those BIG anniversary dates, great for the 20th, 25th, 35th, 40th, 60th wedding anniversary.. We will work with you to design a one of a kind personalized canvas. You simply provide us with up to 30 words/phrases you’d like to include and we will design a custom layout. 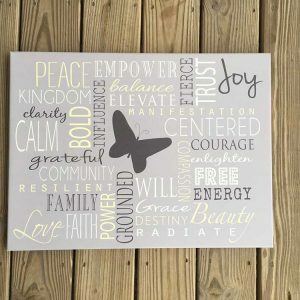 Its a new year – Make a fresh start with our customized vision board canvas. Make a list of this years goals and aspirations and we will take it from there. Each canvas is designed unique and made custom in your choice colors. As seen in Shape Magazine! Our classic Family Story Canvas gets a fresh update by adding your favorite photo as a background. 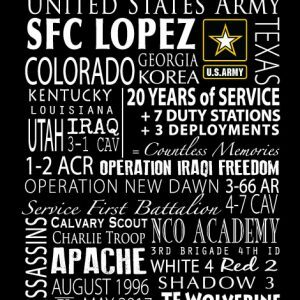 This makes a great personalized gift for just about any occasion. 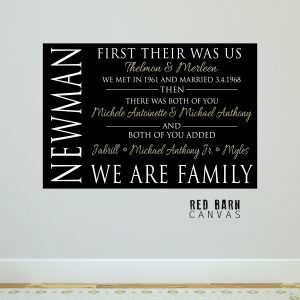 Perfect tribute to your family and fun to give to the new couple, parents or grandparent. Pack it full of those fun family memories.